GLOBE ST: Is Semi-Automated Parking the Key to Density? GLOBE ST: What Will Cause The Next Recession? 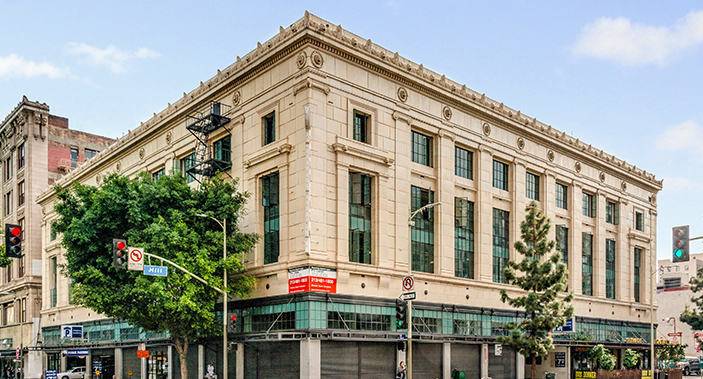 RENTV: Erewhon Inks Lease for 9.5k sf Market at Historic Garage Property in Downtown L.A. Some version of automated parking in new developments is going to be integral to both creating density in L.A. and complying with the city’s parking requirements, as they slowly evolve. Automated parking is growing in popularity, but is still seeing slow adoption from real estate owners and developers. That is likely because there is little known about automated parking systems, both functionally and financially. Markwood Enterprises, an L.A. developer, has used fully automated parking systems in prior developments, but recently implemented semi-automated parking systems in two density-bonus developments, Dunsmuir Row in Mid-Wilshire and Elmwood Row in Larchmont. 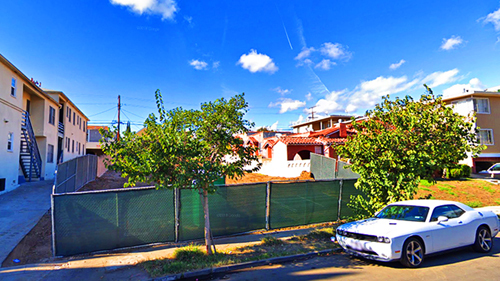 Markwood Enterprises is underway on two multifamily projects in Larchmont and Mid-Wilshire. 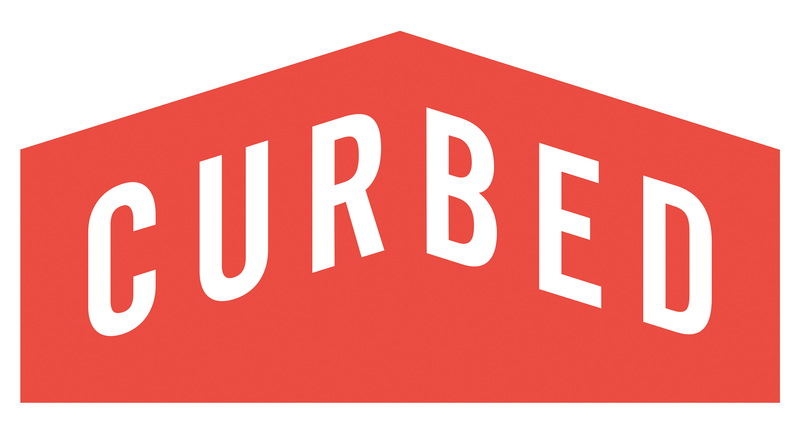 The Beverly Hills-based firm broke ground on the Dunsmuir Row project at 1233 S. Dunsmuir Avenue and on the Elmwood Row project at 4807 Elmwood Avenue. Dunsmuir Row will have 14 units, while Elmwood Row will include 13, according to Urbanize. Both projects will have a mix of townhomes, studio, one-, and two-bedroom units. One unit in each building will be set aside as affordable. They’ll also both feature a CityLift automated parking system, which is designed to maximize parking space. 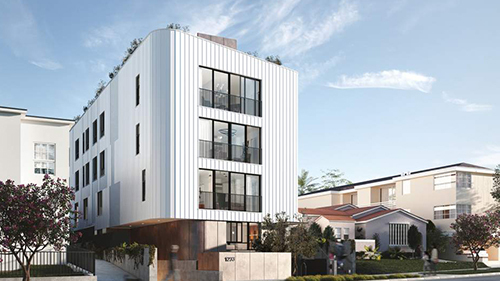 Beverly Hills-based developer Markwood Enterprises has started construction on two multifamily residential buildings in the Larchmont and Mid-Wilshire neighborhoods. Dunsmuir Row, a four-story building at 1233 S. Dunsmuir Avenue, will feature 14 residential units in addition to a rooftop amenity deck. Plans call for a mix of townhomes, studio, one-, and two-bedroom apartments – including one unit of affordable housing. The second project – called Elmwood Row – is located at 4807 Elmwood Avenue. The four-story edifice will feature an additional 13 apartments – including townhomes, studios, one-, and two-bedroom units – of which one will be set aside as affordable housing. The two developments will each feature semi-automated parking systems, according to CityLift Parking, with a mechanical system that “maneuvers vehicles in and out of a puzzle-like configuration, akin to a game of Tetris.” Average retrieval time is 33 seconds. Both projects are being designed by R&A Architecture + Design. Two new multifamily developments in Los Angeles are getting a unique Tetris-style semi-automated parking system that could lead to a shift in how residents park their vehicles. 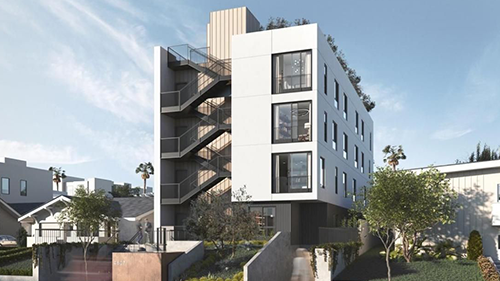 Beverly Hills-based Markwood Enterprises recently broke ground on a 14-unit, 16K SF multifamily property in mid-Wilshire and a 13-unit, 12K SF multifamily development in Larchmont. Each offers one unit for very-low-income tenants. Both sites are featuring a two-level subterranean semi-automated puzzle shift parking system developed by CityLift. “Every developer in LA knows if you can’t park it, you can’t build it,” Markwood Development Director Simon M. Aftalion said. “This enables us to pack in the density in a responsible way. Otherwise we wouldn’t be able to house this many units because we wouldn’t be able to park them.” Multifamily developments in Los Angeles are required to have two parking spaces for each two-bedroom unit, one and a half spaces for one-bedroom units and one space for studios. But the innovative system by Oakland-based CityLift could start a trend in the city’s multifamily landscape that allows developers to build more density with less space, Aftalion said. The property on 1233 South Dunsmuir in mid-Wilshire will offer 18 parking spots, while the project on 4807 Elmwood Ave. in Larchmont will have 16 parking spaces. The puzzle shift — sometimes referred to as a puzzle lift — system appears as a stacked four-by-two grid. When a resident parks in a reserved spot, the system shifts or slides the vehicle or lifts it into place. The cars can be accessed independently. It takes an average of 30 seconds for a resident to retrieve a vehicle. Real estate fundamentals are strong, but the same isn’t true for every industry, and technology could bring down the whole system. Real estate leaders overwhelmingly agree that fundamentals are strong, lending hasn’t gotten out of hand and the market is strong—and that means there is no recession on the horizon. But, just because real estate caused the last recession, doesn’t mean that it will cause the next one. 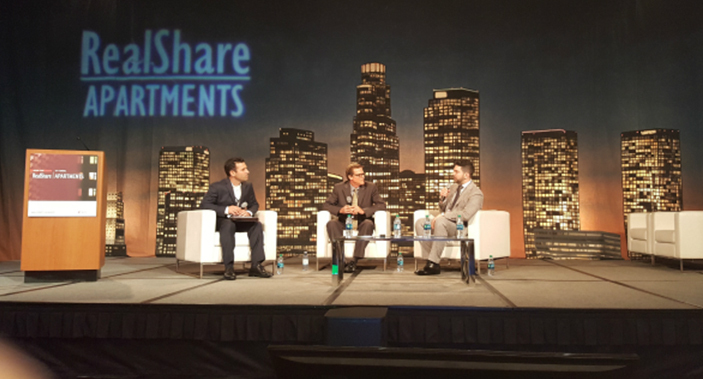 At RealShare Southern California last week, some of the speakers hinted that technology companies are at best has some financial troubles and at worst will be the purveyor of the next contraction. 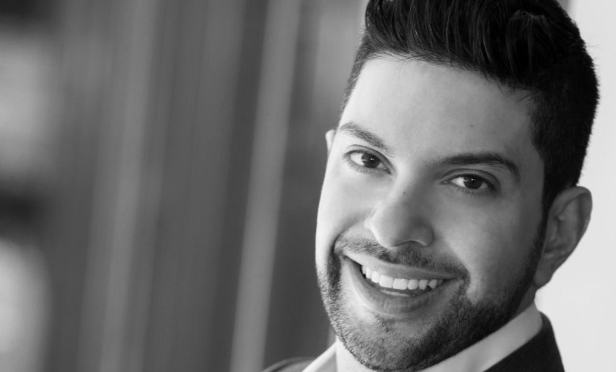 On the Uncovering Hotspots – Identifying Development Opportunities in Southern California, speaker Simon Aftalion, development director at Markwood Enterprises, said technology would cause the next recession. “I don’t think that our next recession is going to be caused by real estate,” he said. “It is going to be technology, because I think that sector is acting like the real estate market did in the early 2000s.” On an earlier panel focused on capital markets, Michael Klein, co-founder and CEO at Freedom Financial Funds, also suggested that technology companies were having financial problems that could impact real estate owners. He suggested that interest rates might be the catalyst for some issues for those companies. The Uncovering Hotspots panel included speakers Bob Sonnenblick, principal at Sonnenblick Development; Adrian Goldstein, founder at CGI Strategies; Rick Raymundo, senior managing director of investments at Marcus & Millichap; and John Petrov, president at Baldwin Construction, with moderator Marcus Arredondo, corporate managing director at Savills Studley—and many of them agreed that we were nearing the end of the cycle, even if real estate wouldn’t be its demise. Sonnenblick said, “We are at the bottom of the ninth with two outs. The game is over.” Raymundo echoed the opinion, saying, “The game is over and we are in a rain delay,” adding that a lot—at least for real estate investors—will hang on the outcome of the Costa Hawkins repeal. Petrov was more positive with his outlook, putting the cycle at the 7thinning, but adding no more commentary. It was no surprise that the panel of developer’s handful of concerns focused on construction and land costs, but also mentioned the inflated prices driven up by Chinese money. Sonnenblick expects a noticeable fall in pricing now that the Chinese have pulled capital, but we have yet to see that outcome in the market. 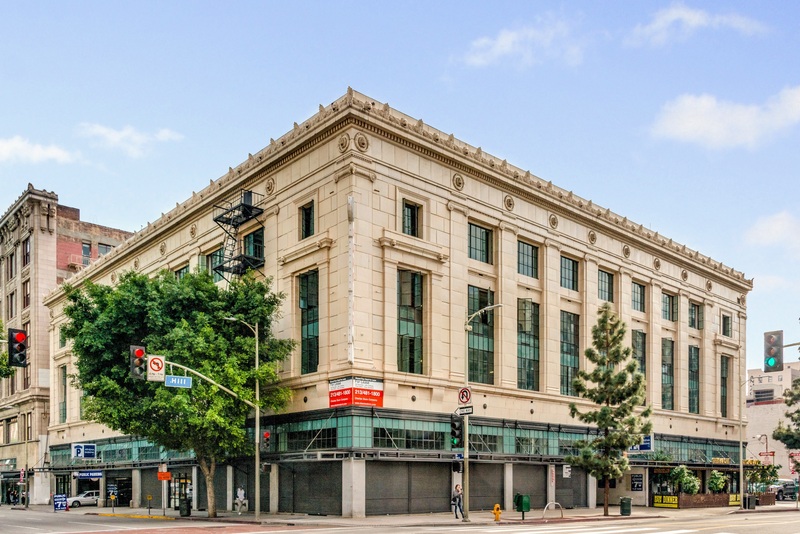 Erewhon, the natural foods store known for its tonic bar, organic produce and pressed juices, has inked a lease for a 9.5k sf store at 900 South Hill Street in downtown Los Angeles. The market will be Erewhon’s fifth store in California, with other stores located in Beverly Hills, Venice, Calabasas and a recently announced location coming to Santa Monica. Terms of the lease were not disclosed. As mentioned in a previous article a few days ago on RENTV, Markwood is moving forward with an adaptive reuse development plan for the 200k sf parking structure, consisting of nine stories – six floors above grade and three floors below-grade. As one of the city’s oldest parking structures, 9th & Hill is at the center of the downtown revitalization efforts given its location in the Historic Core District and its designation as a historical cultural monument. The property currently consists of 10k sf of ground floor retail and 400 parking spaces. The nine-story structure at Ninth and Hill was constructed in 1927 and designed by local firm Beelman & Curlett, the architect behind Park Plaza Hotel in Westlake and the nearby Garfield Building. It has four levels above ground, and another four underground. 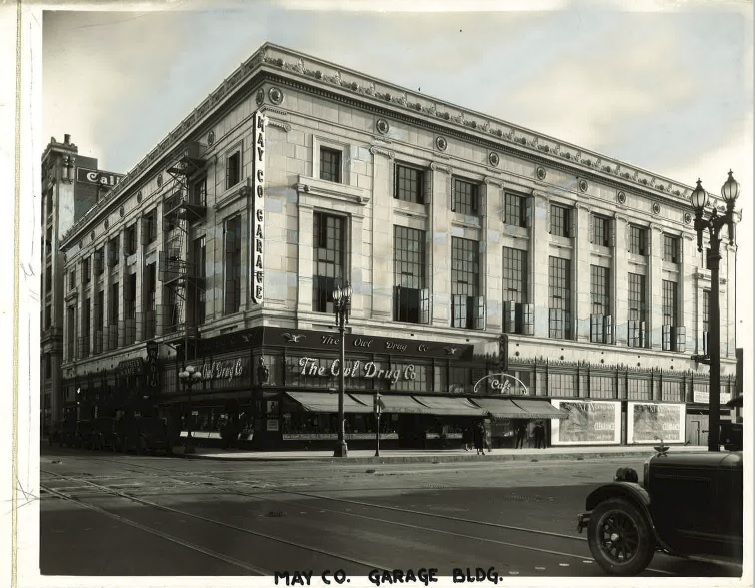 It was particularly built for customers of May Department Store located at Eight and Hill, where the Broadway Trade Center now stands. It has around 200,000 sq.ft. of floor area, which delivered 400 parking spaces. 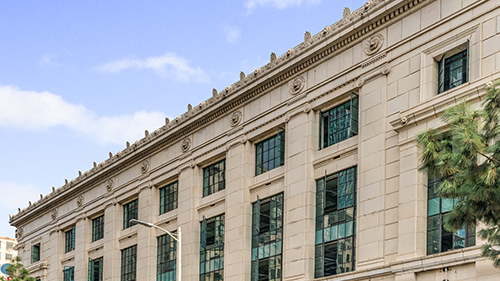 LA-based Markwood Enterprises has received a $23.1 mil bridge and construction loan for the repositioning of the historic nine-level 900 South Hill Street Garage located in the heart of downtown Los Angeles. The financing was arranged by Mark Fisher, Alex Furnary and Val Achtemeier with CBRE’s Capital Markets’ Debt & Structured Finance team. Markwood will use the money to construct an additional floor and combine and expanded the ground floor space to accommodate a single tenant, Erewhon, a popular organic market. The top three floors will be re-purposed as creative office space and the balance of space will continue to operate as a garage. 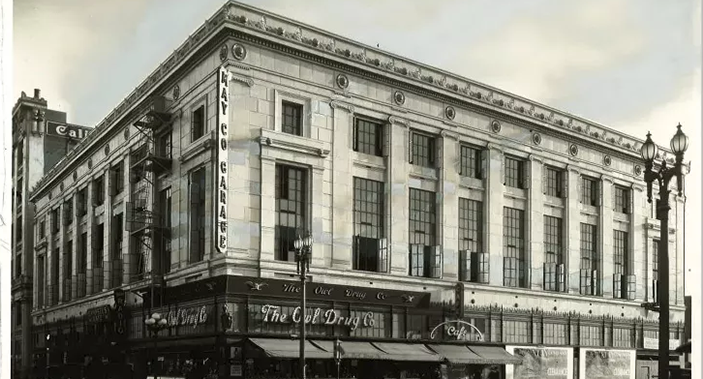 “We fully intend to maintain this historic structure’s beautiful façade while internally upgrading the building and repurposing it as a modern mixed-use facility,” said David Wright, the project’s manager. LOS ANGELES — CBRE has secured a $23.1 million bridge and construction loan for the repositioning of the nine-story 900 South Hill Street Garage in downtown Los Angeles. Mark Fisher and Alex Furnary of CBRE’s New York office, with the assistance of Val Achtemeier of CBRE’s Los Angeles, office secured the loan on behalf of the developer, Los Angeles-based Markwood Enterprises. Markwood will construct an additional floor, and combine and expand the ground-floor space to accommodate a single tenant, Erewhon, an organic market. The top three floors will be re-purposed as creative office space and the balance of the property will continue to operate as a garage. The Broadway Trade Center is in the midst of a major renovation and is slated to become a massive mixed-use project that will bring a hotel, a Grand Central Market-style food hall, a private club, multiple bars, and retail to the neighborhood. 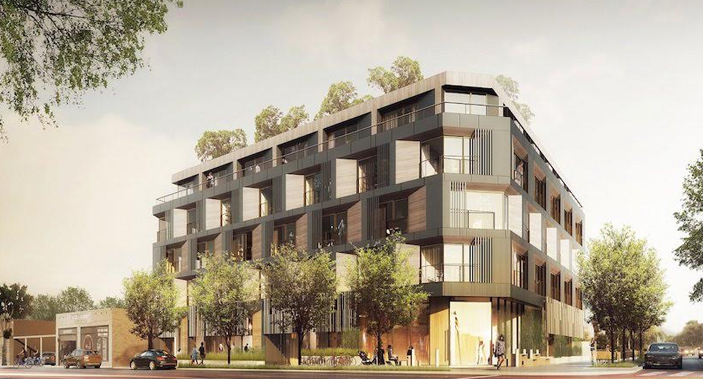 A new five-story residential development is headed for Sawtelle—and it will have a fancy automated parking garage. 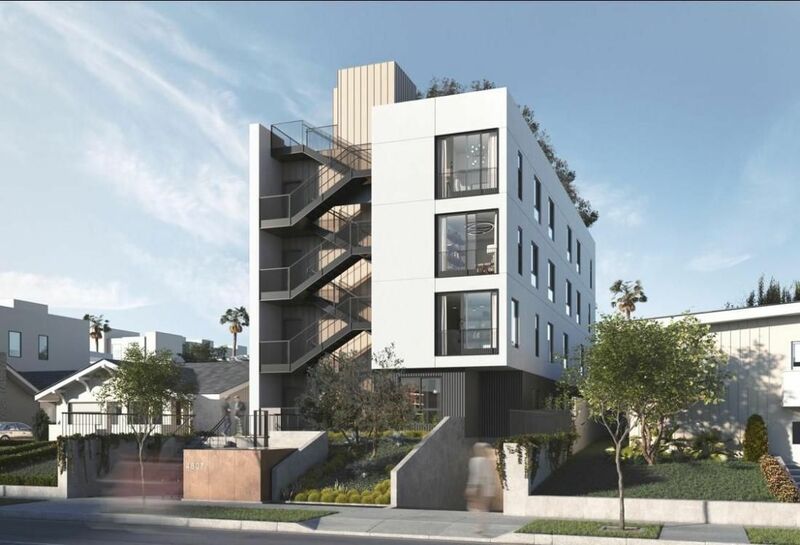 Set to rise on the northwest corner of Santa Monica Boulevard and Barrington Avenue, the project will include 53 apartments and six live-work townhomes, along with 1,500 square feet of commercial space on the ground floor. Five of the apartments will be set aside for very low-income residents (those making under half the median income in the area). Designed by R&A Architecture + Design and developed by Markwood Enterprises, the structure will have a contemporary aesthetic with elements of wood, metal, and glass, along with hanging vines draped from upper level trellises and overhangs. Residents will have access to a shared rooftop deck, open-air terrace, central courtyard, and an amenity room. The automated parking garage will ferry up to 82 vehicles in and out of a subterranean lot via a computerized shuttle system. The garage will also offer 60 spots for bicycles. Plans for the project filed last year indicate that it will take about 13 months to construct and should be ready to open by the end of 2018. Erewhon Market will open its fifth natural food store at 900 South Hill St. in downtown Los Angeles. The 9,500-square-foot store will be on the ground level of a historic building owned by Beverly Hills-based developer Markwood Enterprises. Erewhon at 9th & Hill will feature a fully integrated tonic, juice and coffee bar, pizza oven, hot and cold cases, a wide selection of organic, vegan and raw foods, and more. “We’re thrilled to be coming to a unique site in downtown LA where the historical landscape of the building blends perfectly with the nature of Erewhon, which has been a pioneer in the health food world since the 1960s,” said Tony Antoci, CEO of Erewhon Market. The project, at 11701 Santa Monica Blvd., will have a five-story residential and retail building, including an amenity rooftop garden space and 53 rental units. Five of the units will be for very-low-income households. The building will also have six live-work townhouses and 1,500 SF of ground-floor commercial space. The automated parking and courtyard-style indoor/outdoor living help set this project apart, according to Markwood Enterprises Development Director Simon Aftalion. The subterranean parking will include 82 parking spaces and 60 bicycle spaces. A new environmental report offers a first glimpse of a proposed mixed-use development in West Los Angeles. Markwood Enterprises, a Beverly Hills-based real estate firm, has proposed the construction of a new residential-retail complex at the northwest corner of Santa Monica Boulevard and Barrington Avenue. Plans filed with the city describe a five-story building that would feature 53 apartments, five of which would be set aside for very low income households. The project would also offer six live-work units and 1,500 square feet of ground-floor commercial space. Other elements of the proposed development include a rooftop deck, a fifth-floor terrace and a ground-level amenity room. Parking accommodations for 80 vehicles and 55 bicycles would be provided in an automated subterranean garage. The rumor has been floating out there since last summer, but it’s now official: Erewhon Market is coming to Downtown Los Angeles. 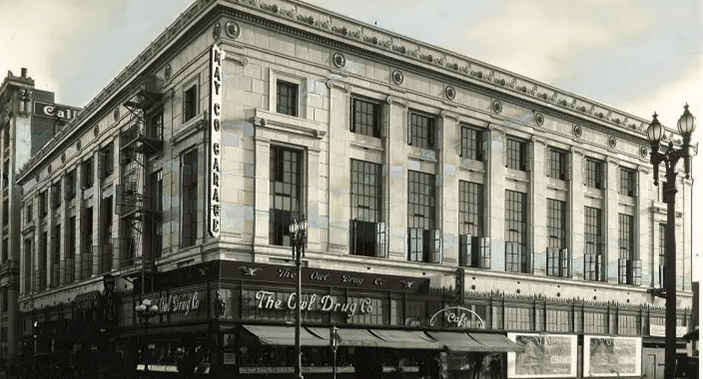 The new store at 9th and HIll Streets – Erewhon’s fifth outpost in California – will be located on the ground floor of a historic property owned by Beverly Hills-based developer Markwood Enterprises. The approximately 9,500-square-foot market will include a tonic, juice and coffee bar, a pizza oven, and a selection of organic, vegan and raw foods. Early Bird Alert: Connect Apartments is planned for September 28th in Los Angeles. 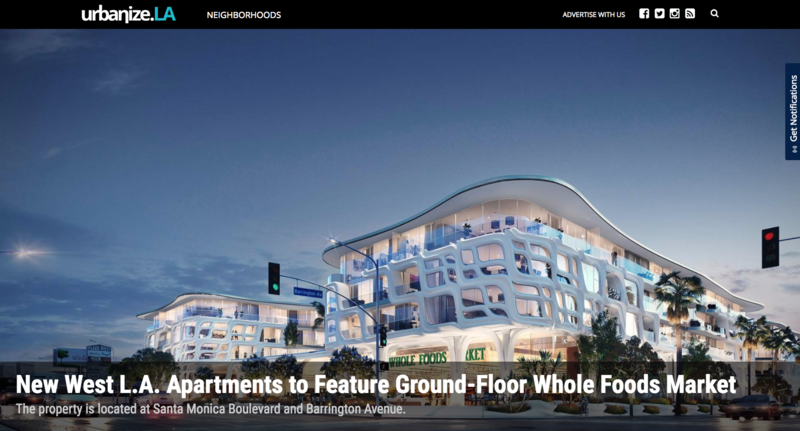 Beverly Hills, CA-based Markwood Enterprises secured entitlements to develop a 45,420-square-foot mixed-use project at 11701 Santa Monica Blvd. in West Los Angeles. 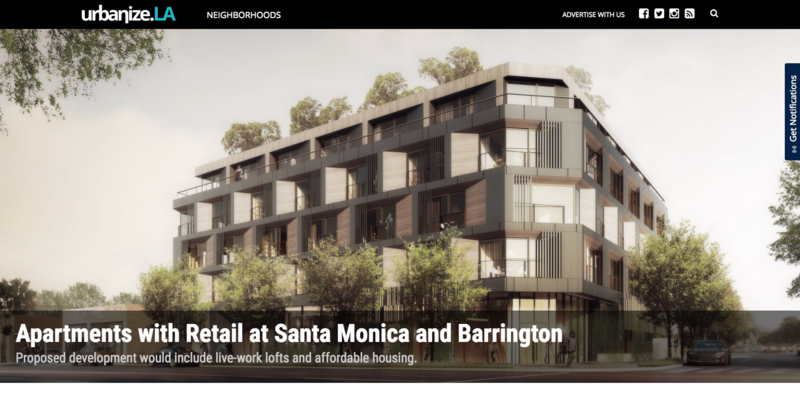 Located at Santa Monica Boulevard and South Barrington Avenue, the site will house a five-story residential and retail development, including a 3,047-square-foot rooftop deck garden amenity space and 53 rental units. Boutique developers are small and nimble enough to push boundaries in ways that larger developers can’t, and as a result, they are playing an integral role in pioneering innovation in new development. Modular housing and technology implementation like automated parking were some of the examples that experts on the Mixed-Use Panel: Successful Designs for Live/Work/Play discussion at RealShare Apartments gave last week. 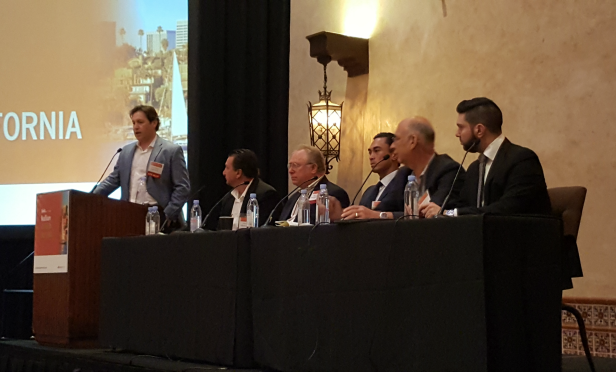 The panel discussion was led by moderator Adam Artunian, VP at John Burns Real Estate Consulting; Daniel Gehman, studio director at Humphreys & Partners, Architects; and Simon Aftalion, development director at Markwood Enterprises. 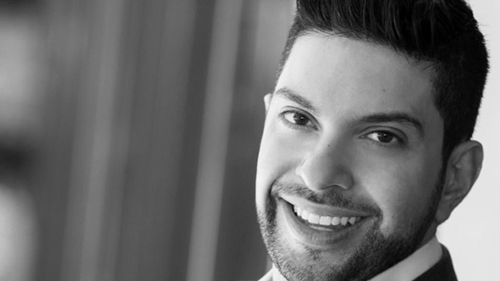 “Boutique firms take on new practices with open arms, because we have to, and we are pushing the boundaries in a risk adverse way,” said Aftalion. 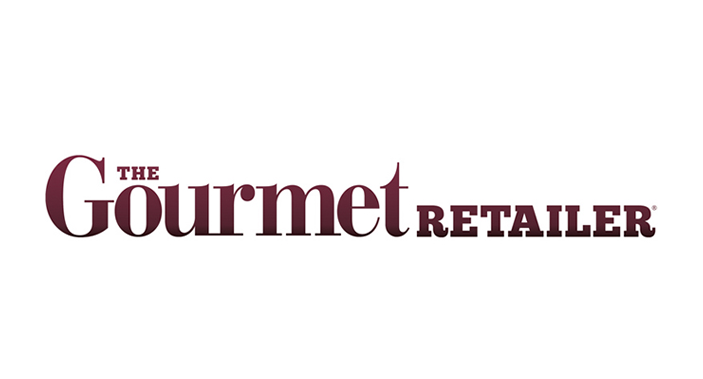 Gehman agreed, adding that he is seeing more activity from boutique firms. 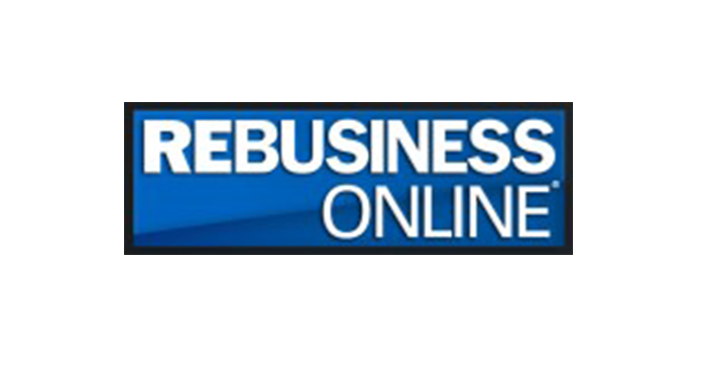 “The exciting thing is that they will look at properties that bigger firms will pass over. They also bring patient capital and legacy properties,” he said on the panel, adding that they have different avenues of getting land sites than larger REITs and institutions and that they try new things that the larger players can’t because they are untested. 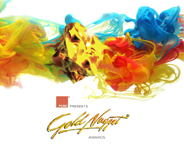 “The boutique players break new ground, and it eventually gets incorporated into what everyone else is doing,” he said. Aftalion’s firm, for example, has incorporated automated parking systems into its development projects to accommodate the parking requirement in a denser footprint. On this particular site, adding a parking structure would have killed the deal. “We looked into other means, and automated parking operators approached us,” he said. “I realized this was the future, and I realized that people would have to embrace some form or automated parking.” The project was a success, and Aftalion believes that the proven success will drive more interest from capital. “I think equity will start getting behind that type of development because it is the only way that you can turn out development,” he said. Boutique developers also help to drive density by building on smaller sites that larger developers overlook. “I think boutique could be a boost to the overall affordability of housing,” said Gehman. Aftalion added that large developments are often “entitlement nightmares” and can take years before ground breaking. He believes that you will never grow the housing stock by taking years to build 200-unit projects. Aftalion and Gehman are also looking into alternative ways to build sites. “We have been building the same way for 150 years, so there is time for a change,” said Aftalion. One idea is modular projects as a way to expedite development and reduce costs. Gehman says modular can be scaled, much like a hotel development. 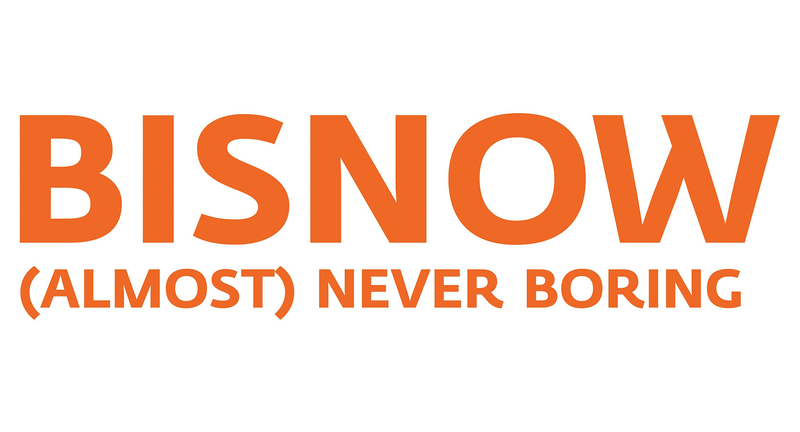 “We have been looking into modular, and I think eventually we will have a site that works. It is a little tricky, and I think that we are going to get over these hurdles quickly.” Gehman added, “Modular is coming of age. 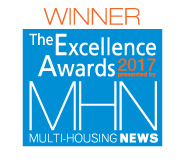 There are rules, so it isn’t there yet.” But, it is coming and there are developers today looking at ways to use modular housing in multifamily. VIEW THE ORIGINAL ARTICLE ON GLOBE ST.